MAKE ALL REASPONABLE OFFERS KNOWN!! Take this opportunity to turn this statuesque river view Victorian back to its original beauty! Large wrap around porch with great views, big living room with 9 ft ceilings & pocket doors, large den, formal dining room, eat in kitchen, 3 nice size bedrooms and a walk up attic with loads of possibilities! Added plus-a detached cottage for extra income/extra family! Garage, full basement, deck, 5 yr old furnace and C/A and electrical panel. 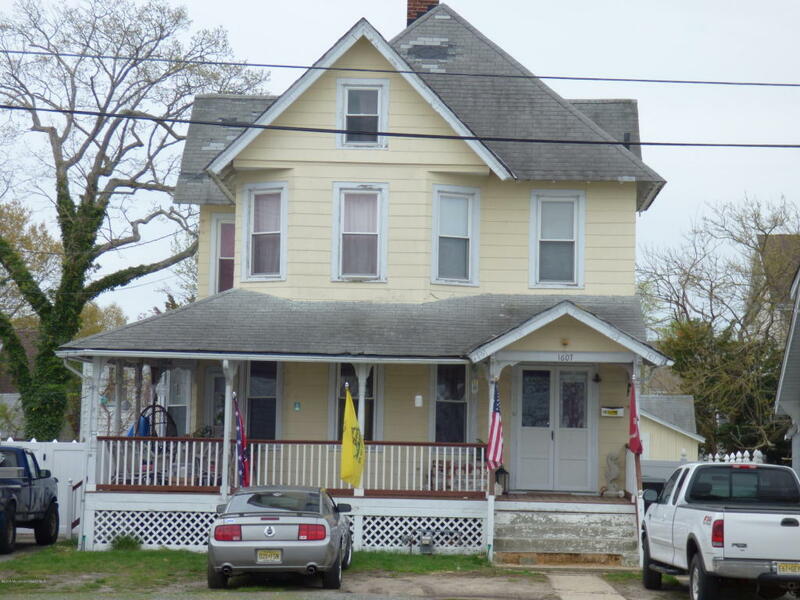 Bike to the beach, walk to some of the areas best restaurants or go fishing or boating right across the street.Needs some TLC but a great investment! ''As is'' sale.